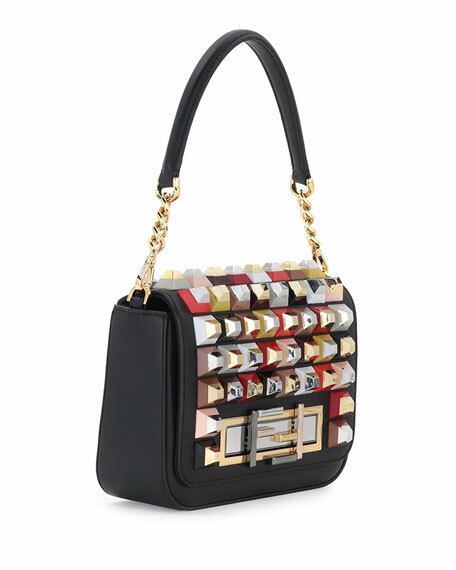 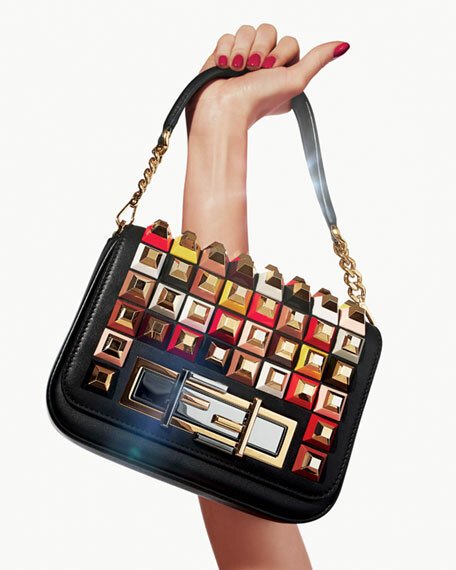 Fendi 3Baguette calf leather bag with multicolor resin studs. 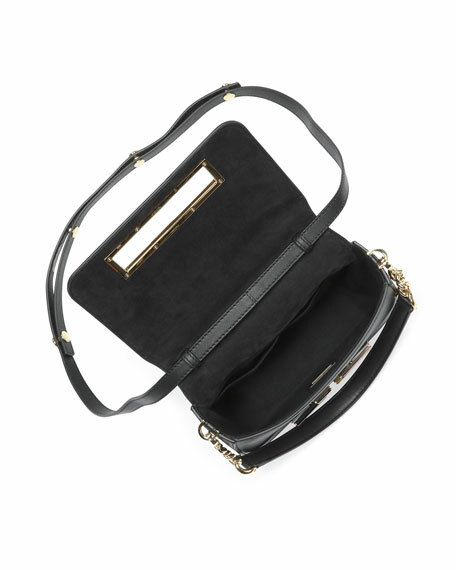 Shoulder strap with chain insets. 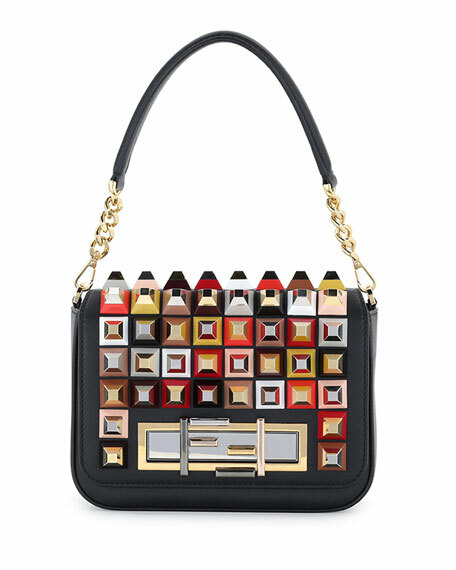 For in-store inquiries, use sku #1549891.